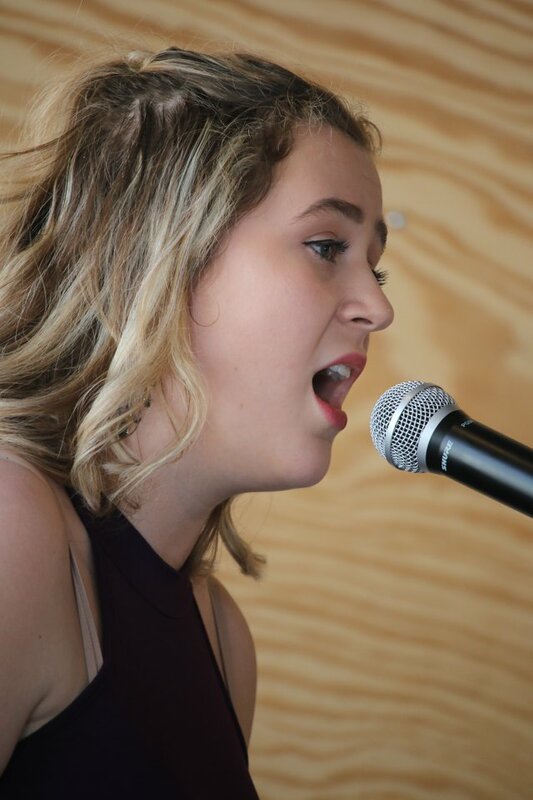 To help break down socioeconomic barriers to performing arts education, a talented group of teens will lift their voices in song at a cabaret fundraiser for a performing arts scholarship to Flight Performing Arts. “The Voice of Art” will be held at the Johnson Museum, 114 Central Avenue, Ithaca, on Friday, March 22, at 6:00 pm. The performance will feature songs from musical theater, pop, and classical music. Baked goods will also be available for purchase. “Local teens have made themselves heard: racial and socio-economic barriers are no longer acceptable. We’re listening,” says Sharon Costianes, director and voice faculty at Flight Performing Arts, which will administer the scholarship. The event is student-planned and run. The “Voice of Art” theme was chosen as a way to integrate the visual arts and deepen the experience of the audience. Images of visual art that has inspired each singer will be projected above them as they perform. There will also be an optional hands-on open studio time available at 5:00 pm through the Johnson’s education department. With a growing scholarship fund and a downtown location on the bus line, Flight is working to break down existing barriers for students who want to hone skills essential to a theater education. Previously, those who wanted to learn contemporary performance techniques in the areas of music, dance, and acting have had to piece together a course of study. Flight now seeks to fill that gap, offering a cohesive program with high-level teachers and exceptional training in one convenient downtown location. “Good (voice-dance-acting) teachers charge a large amount because they are worth it. But when kids want to learn from them, they shouldn’t have to be in a family that makes a certain amount of money. Scholarships have a direct correlation with equality and inclusion; they allow for more children from different backgrounds to come together and pursue something they love, and allows for an equal playing field with no one having the upper hand just because their family makes more money,” says Ari Cummings, a member of Flight Voice Studio as well as one of the founding members of Students United, the group that raised concerns about equity at Ithaca High School. The goal of the cabaret is to help young singers gain vital experience through private lessons, group rep classes, and in performance. This fall, Flight moved to an easily accessible downtown Ithaca location, adding a musical theater dance program, an acting training program, and Master Classes. Flight’s Summer Camps offering training in singing, acting, and dance for teens, kids, and adults, are now open for registration. 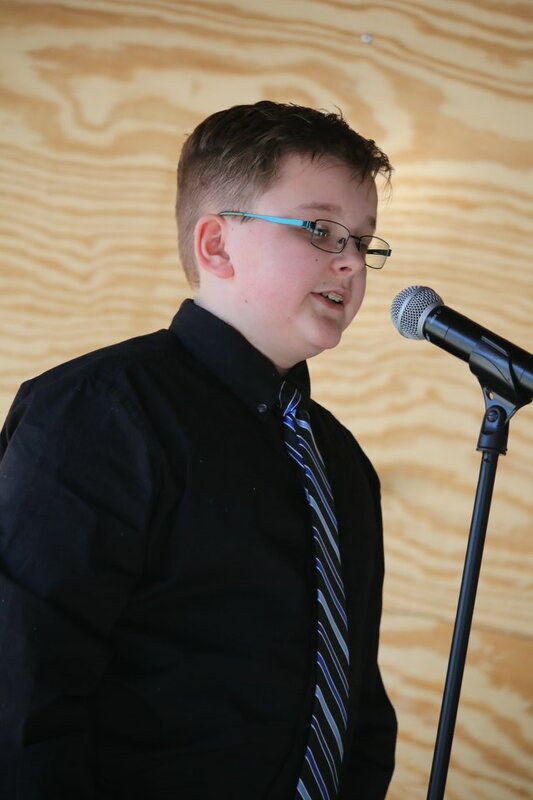 “It’s a huge part of our mission at Flight to empower young voices,” says Sharon Costianes, Director and Voice Faculty at Flight Voice Studio which will administer the scholarship. All the singers are students at Flight who study with Costianes or Ginny Maddock, who also serves on the Voice Faculty. “The Johnson was a natural fit for this performance. It was our students' first choice, and the fact that we’re making it happen is just thrilling! The ability to collaborate with the museum’s education department only serves to enrich the experience,” says Maddock. The scholarship fund was established in 2013. The idea came from students who wanted to see their talented but less fortunate friends have access to the same level of training they themselves enjoyed. The teens hope to raise enough money from the Voice of Art Cabaret to fully support at least one student’s tuition next year. That’s about $3000. All the teens performing in the cabaret are also active members of Ithaca’s theater community. Many of them have starred in school plays, Running to Places productions, and regional professional theater. Some of them also sing with the Ithaca Children’s Youth Choir and Vitamin L, as well as their school choirs.